It's important to be comfortable while sitting at your desk, a happy worker is a productive worker. The stylish office chair with armrests and adjustable height allows you to find the ideal position for you to sit in. 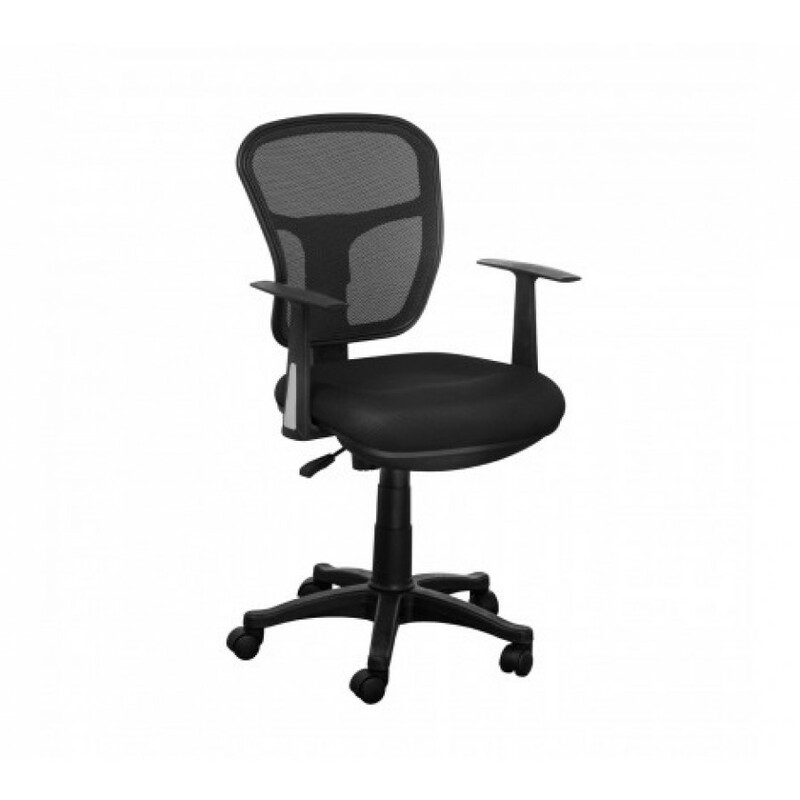 With a black padded fabric seat and flexible mesh back rest, you will relax into the chair making sure you can concentrate on your work and not fumble around trying to get comfortable. The mesh design also helps to reduce you getting a hot back ensuring a more comfortable feeling throughout the day. The back rest is shaped to give you maximum comfort. A gas lift mechanism ensures you can adjust the height with effortlessly while 360° rotation and castors give you complete control on manoeuvring. The black plastic frame is robust, yet lightweight, for the daily rigours of office life making at the perfect chair for everyday use in a busy workplace.